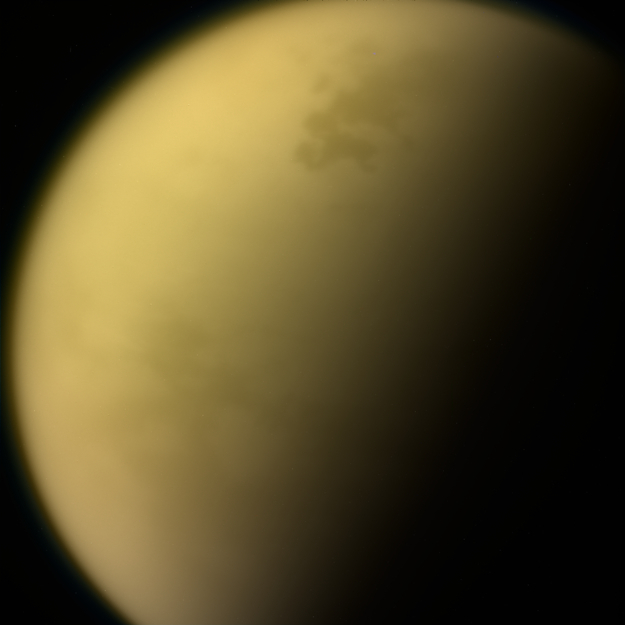 One of Cassini's last views of Titan, Saturn's largest moon, before the mission concluded on 15 September. 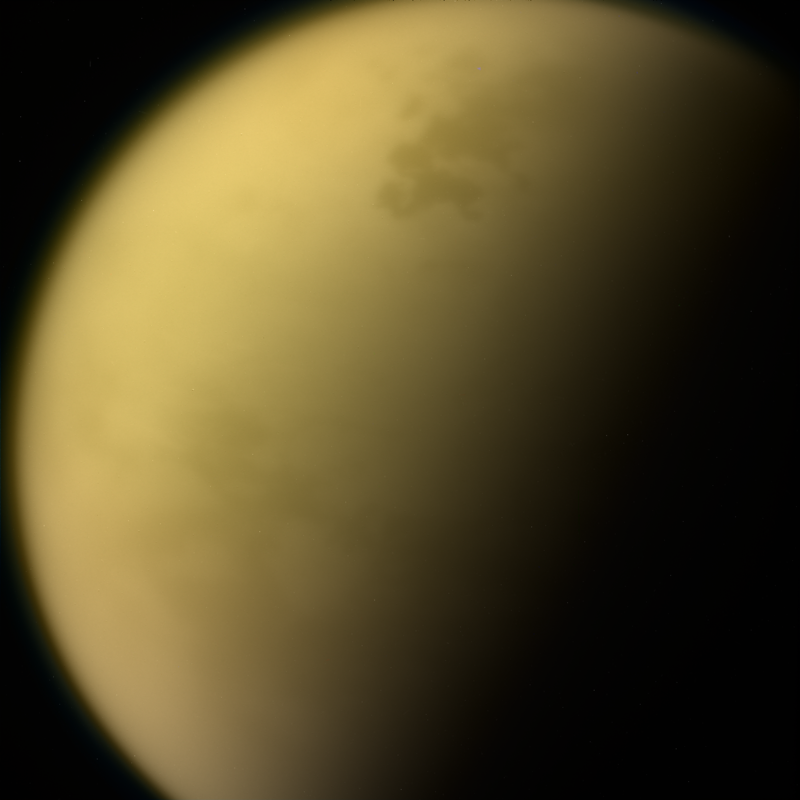 The image was taken on 13 September from a distance of 774 000 km from Titan. The image scale is 5 km/pixel. The image has been enhanced to partially see through the haze. The Cassini-Huygens mission is a cooperative project of NASA, ESA and the Italian Space Agency.